If you are thinking about a new roof for your Worcester area home, take some time to consider your options if you are using asphalt shingles. Homeowners have a dizzying array of colors and patterns available and the right shingle look can enhance your home’s curb appeal, so it pays to put some time into this decision. Dudley-based roofers LJ Construction offers the following tips from their decades of new roof installation experience. First, as with paint samples, never rely on a small store swatch or a manufacturer catalog photo. 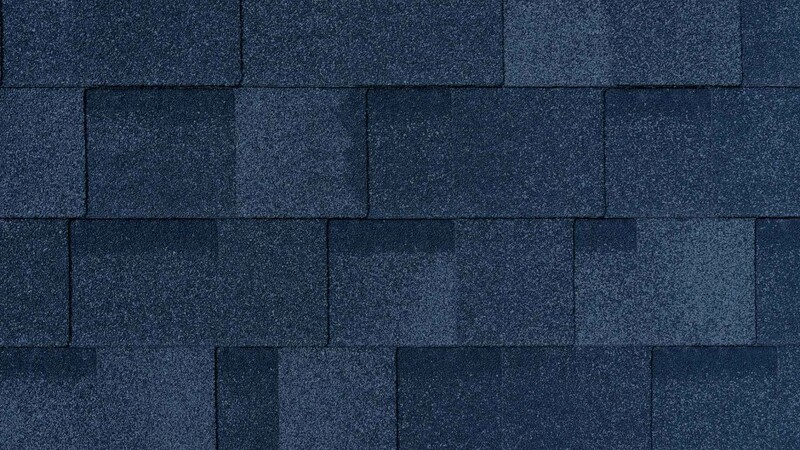 Shingles are built of layers of asphalt-saturated substrate and protective granules. Since individual shingles can contain slightly different colors of granules, it is important to have a good sample before installation on your Douglas home. Likewise, if you have an exterior paint color in mind, put a sample of that color on a board to bring with you to the showroom to see how it works with the shingles you’re considering. Think about how your new roof shingle will complement your Southbridge home’s existing paint colors and other features. If you have any brick-faced surfaces, consider how the shingles work with the bricks. You can always change paint colors, but brickwork is much harder to change. If your home has a “busy” looking aesthetic, consider a simpler shingle pattern. If your home is more monochrome, a more interesting shingle pattern or color can help spice things up. LJ Construction has long worked with GAF and Certainteed shingles, both of whom provide interactive visualization tools on their websites to help you get a sense of different shingle and home visuals. Despite the seemingly vast number of shingle options for your new roof, choosing a great product doesn’t have to be daunting. Let LJ Construction’s roofing experts help take some of the guesswork out of the process. Contact us today for a free estimate for your new roof project.